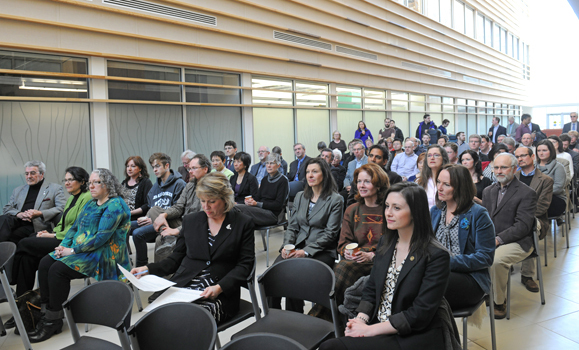 It’s not uncommon to come across receptions on campus for various events, lectures and other happenings. At first glance, someone walking into the atrium of the Life Sciences Research Institute last Thursday might have thought it simply another gathering — but it wasn’t. 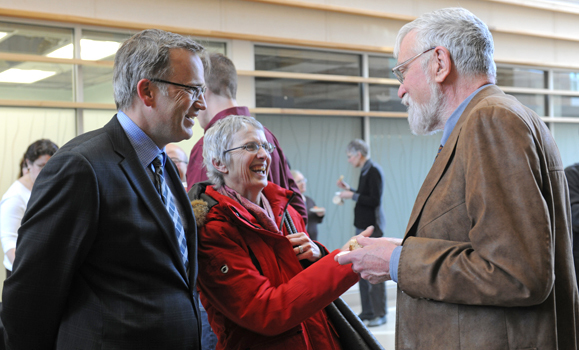 The event, which attracted individuals from across the Faculty of Medicine and the university more broadly, was to celebrate a career of major scientific accomplishment — and an Atlantic Canadian first. 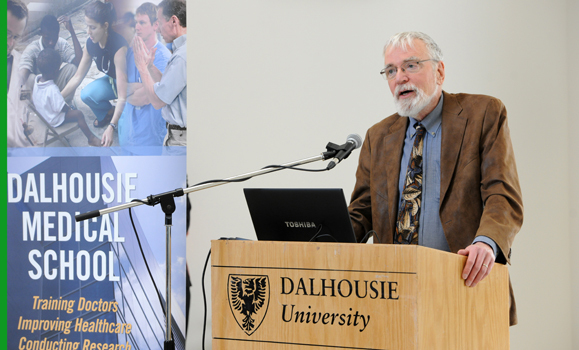 In February, Ford Doolittle, professor emeritus in the Department of Biochemistry and Molecular Biology in Dal's Faculty of Medicine, was announced as this year’s recipient of the Gerhard Herzberg Gold Medal for Science and Engineering. The award, presented by the Natural Sciences and Engineering Research Council of Canada (NSERC), is Canada’s highest honour in the sciences, recognizing research contributions characterized by both excellence and influence. Dr. Doolittle’s win is the first time an individual east of Montreal has been awarded the prestigious prize. 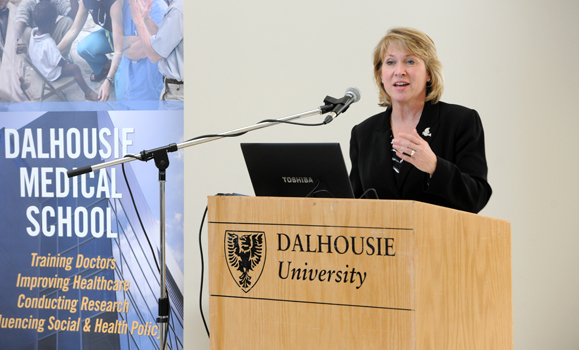 At the celebration, Dr. Doolittle’s work was celebrated by speakers including Dean of Medicine Tom Marrie and, representing the Government of Nova Scotia, Kelly Regan, minister of Labour and Advanced Education. They noted his decades of groundbreaking DNA research, and how many of the molecular geneticist’s 270-plus research studies have challenged and re-evaluated many long-standing beliefs about the building blocks of life. Dr. Doolittle also addressed the attendees and mingled with guests, displaying his Herzberg medal by request. 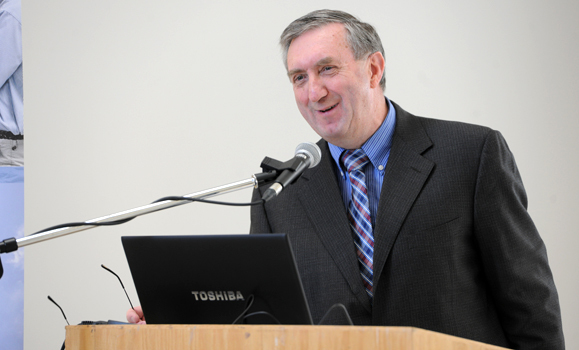 For more on Dr. Doolittle’s Herzberg award, read our Dal News interview from February.